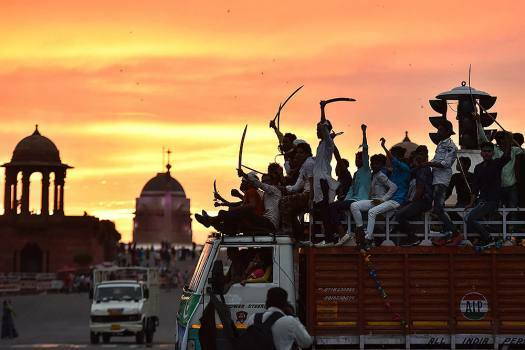 Muslims brandish swords during a Muharram procession at Vijay Chowk, in New Delhi, Friday, Sept. 21, 2018. 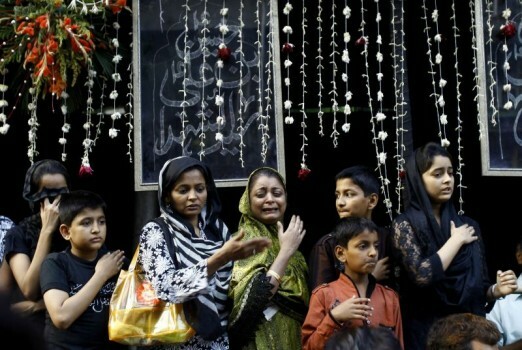 Muslim man flagellates himself with knives tied to a chain during Muharram procession, in Mumbai, Maharashtra. 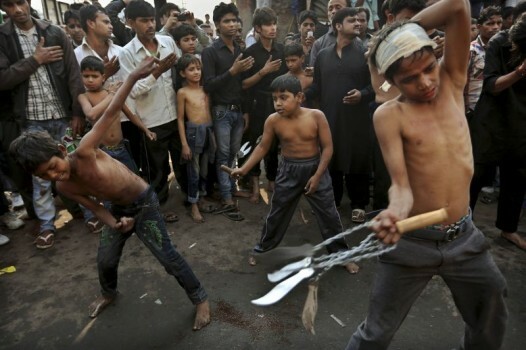 A Shiite boy flagellates himself witha sharp razor blade attached to a string during a Muharram procession in Chennai. 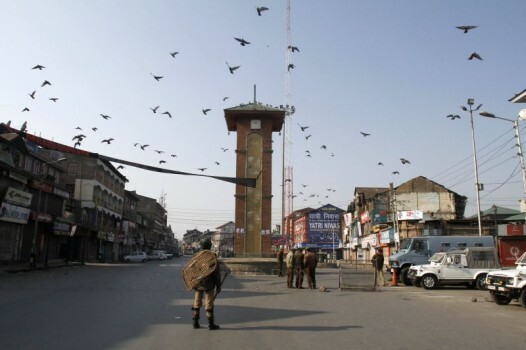 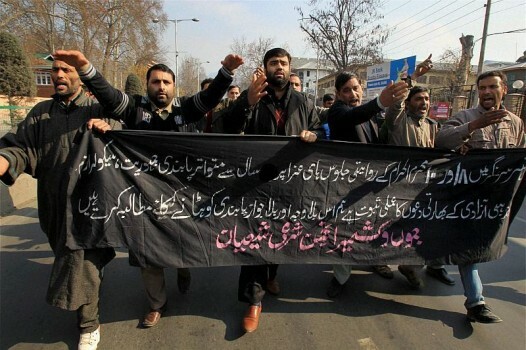 Shia mourners take out Ashoora procession in violation of the prohibitory orders in Srinagar. 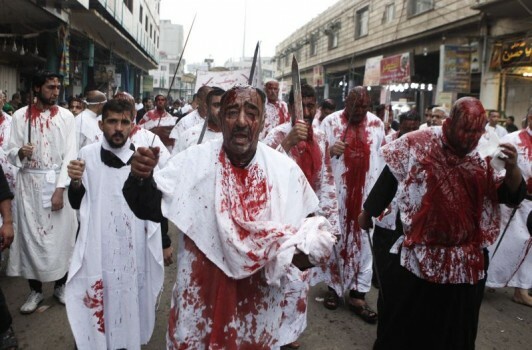 A Shiite boy is given a cut on the forehead with knife during a Muharram procession in Chennai. 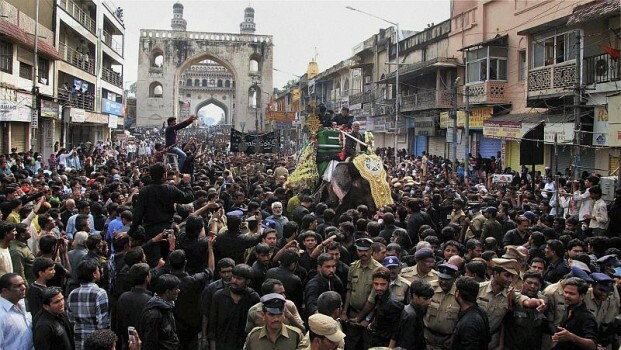 Historic Bibi Ka Alam procession passing through Charminar during Muharram in old city of Hyderabad. 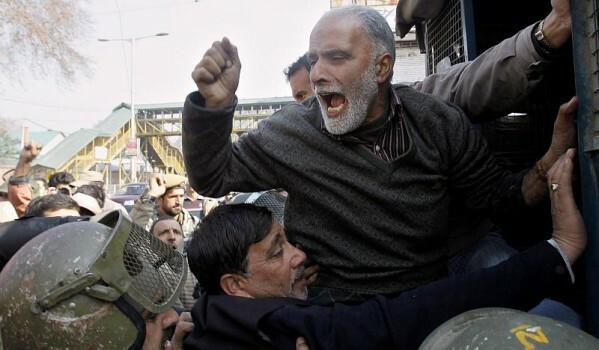 A Shiite Muslim shouts slogans as he is detained along with others during a Muharram procession in Srinagar. 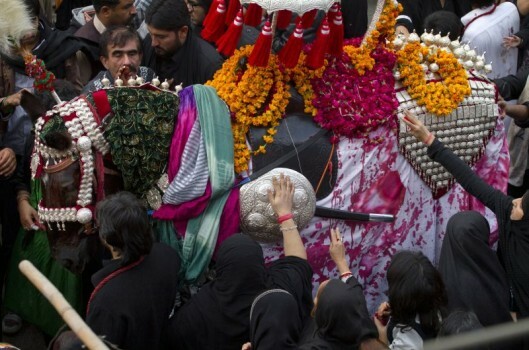 Kashmiri Shiite Muslims take part in a Muharram procession in Srinagar. 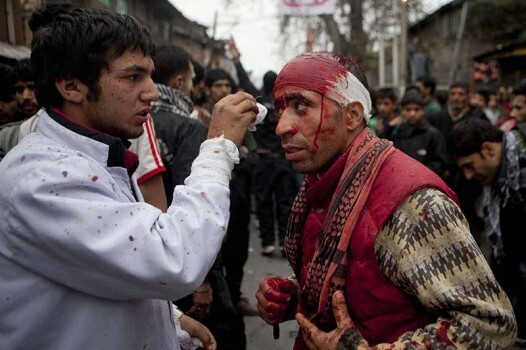 A paramedic cleans blood off the face of a Kashmiri Shiite Muslim during a Muharram procession in Srinagar. 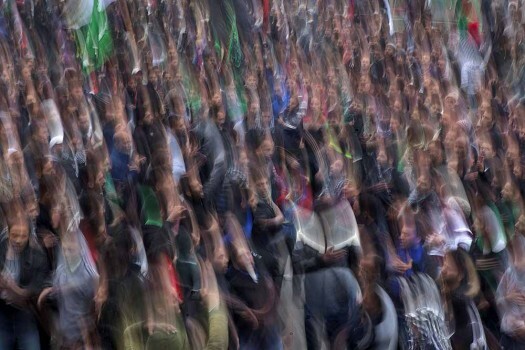 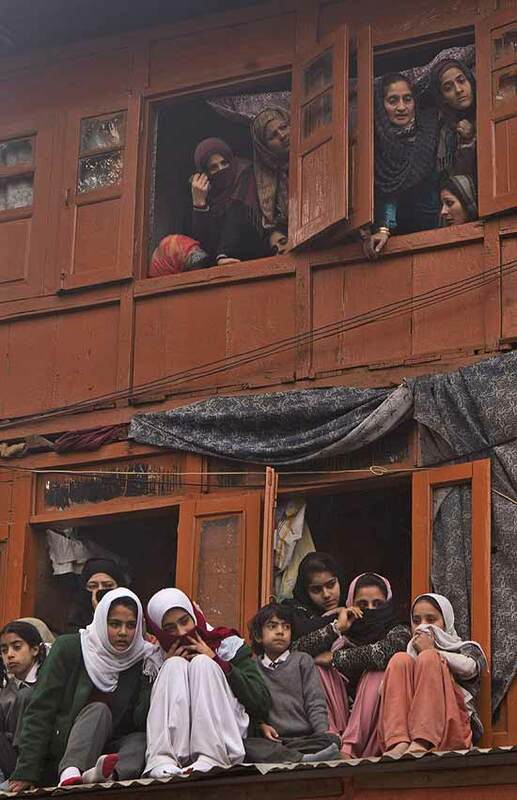 Kashmiri Muslims watch a Muharram procession in Srinagar. 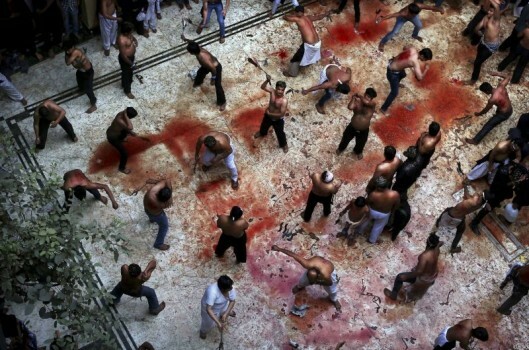 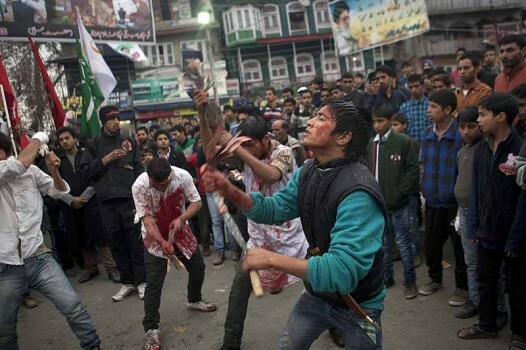 Kashmiri Shiite Muslims flagellate themselves during a Muharram procession in Srinagar. 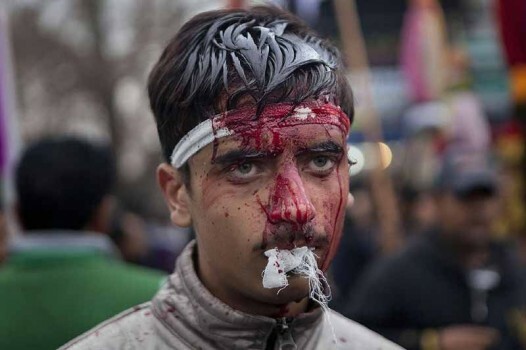 Blood runs down the face of a Kashmiri Shiite Muslim as he participates in a Muharram procession in Srinagar. 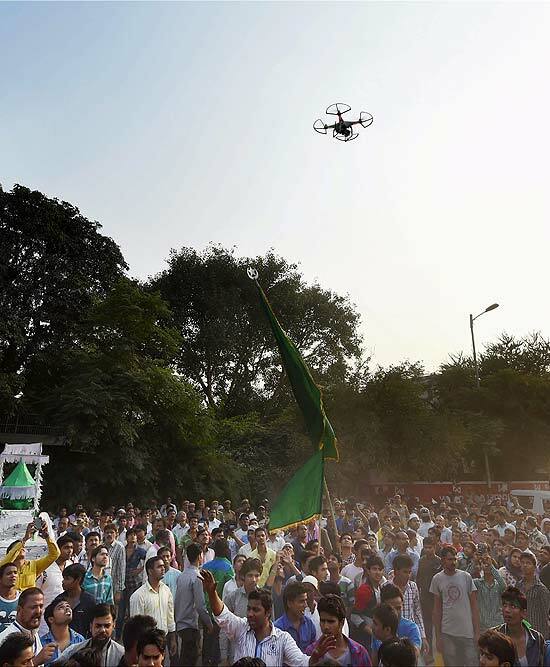 The incident occurred when the procession deviated from its fixed route. 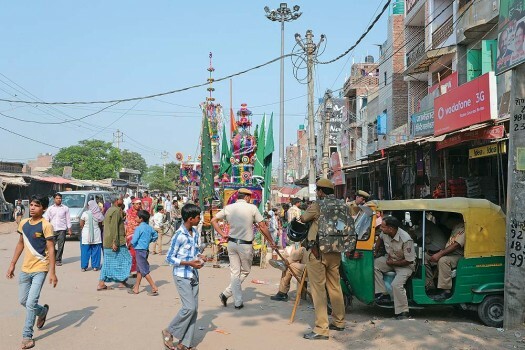 Perturbed, some members of another community started throwing stones at it in Parampurva, Inspector General of Police (Kanpur zone) Alok Singh told PTI. 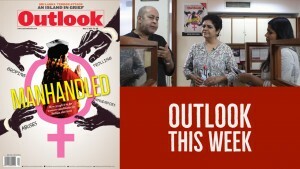 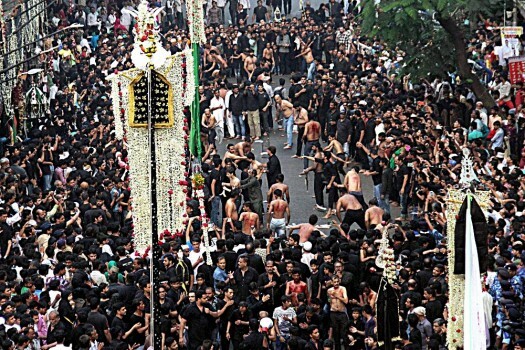 The decision was taken after Mamata met Pooja and Muharram committees of the state.